Coordinate volunteers for bar service on night of event. Work bar on night of event. Shifts vary and will be assigned closer to the event. Manage five cleanup captains to help clean up the school after the auction. 7 am - 10 am Sunday April 14th. Set tables in the afternoon on Friday, April 12th, noon to 3 pm. Check table settings with Reservations team on Saturday morning, April 13th, 9 am. Make adjustments as needed. Take photos of guests and decor the night of the event, both candid and posed photos. Assist Facilities Supervisor and Work Study students day of set up(Friday, April 12th 8am - 4 pm). Supervise students during down time, help direct and coordinate students to various set up jobs. 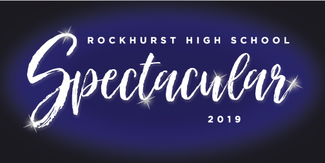 Rockhurst Faculty/Staff to greet attendees as they enter on night of event. Set Up Silent Auction Items prior to event. Coordinate dinner, caterer and servers for auction volunteers on night of event, April 13th.